This range is made using optimum grade de-fatted soy flour, a by-product of extracting soy bean oil. Since these are enriched with proteins and used as a substitute of meat as they contain minimal cholesterol. These are used in several meat foods, such as banger, pork luncheon meat and sausage. Helpful in increasing their taste and flavor, these are used in freeze food, which is further, steamed stuffed bun, mincemeat and dumpling. These assist us in improving the water-binding, having proper nutritional structure and absorbing fat. 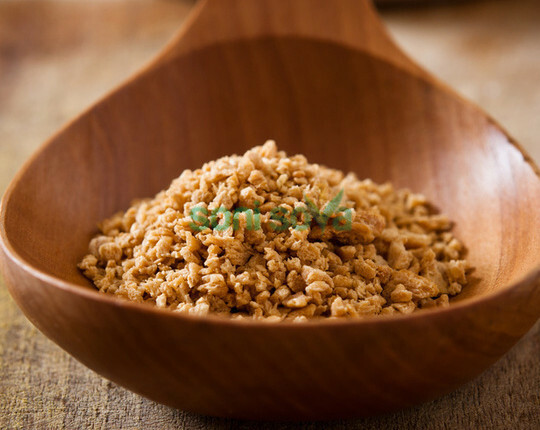 TVP stands for textured vegetable protein, a more accurate name would be textured soy protein, as that's what it's made from. Ideal as a meatless substitute in casseroles, stews and curries, similar to tofu it is relatively tasteless and easily picks up the flavourings and spices of the dish you use it in. Often people marinade it in their preferred taste and then add to a wide variety of dishes.